While my luck for seeing some of the top pitchers on the minor league teams that I’ve visited is pretty horrible (I missed Osuna and Norris in Lansing, Stroman and Nolin in New Hampshire and Tirado and Labourt in Bluefield), I did get really lucky for another reason in Bluefield. I was there when a lot of the Blue Jays’ brass gathered in Bluefield to evaluate their talent and meet with the Bluefield Blue Jays staff. Jeff Gray, the general manager of the Bluefield Jays, set up a “media day” on the Saturday I was in Bluefield to allow local media to meet and interview some of the Toronto staff who were around, and I tagged along. The local media that showed up was Brian Woodson, a writer from the Bluefield Daily Telegraph. Brian and I tag-team-interviewed several of the staff and roving instructors who were in Bluefield during batting practice and I present the first of our interviews here. The first man we talked to was Charlie Wilson, the director of minor league operations. He’s responsible for the entire Blue Jays minor league system. Note: I didn’t get my recorder on in time to catch Brian’s first question to Charlie. Charlie Wilson: Absolutely, you know what, we drove up yesterday from Charlotte and even in the car ride everybody was excited to get back here. Love Bluefield, love the people here, love the operation, headed by obviously George McGonagal [Bluefield Blue Jays President] and Jeff Gray [Bluefield Blue Jays General Manager] and the whole board of directors, but just, I love it, everything about it, what the people here stand for. Beautiful ballpark, obviously when you sit down in the mountains, you can’t beat the view. Great Atmosphere. When you’ve got first and second year players, guys coming from all walks of life in your minor league system, from Latin America, from the United States, from high school, from college, it’s a great place to start your professional career. Brian Woodson: One thing y’all really do here in Bluefield that Baltimore didn’t do there at the end, is brought in a lot of top prospects here. These people here get to see some really good ballplayers who have a good future ahead of them. CW: Great Story, you’re right, yeah. He was here in 2011 and had a very nice year. Won the batting title I believe before getting promoted to the Northwest League there for the playoffs. And obviously you’ve seen him rise through the minor leagues, was in Double-A this year, had a great first half and is now in Triple-A, he’s only one step away from the big leagues and he’s contributing on both sides of the ball, he’s playing very well in the field, playing a great center field, and he’s having professional at bats still and really excited about his development. 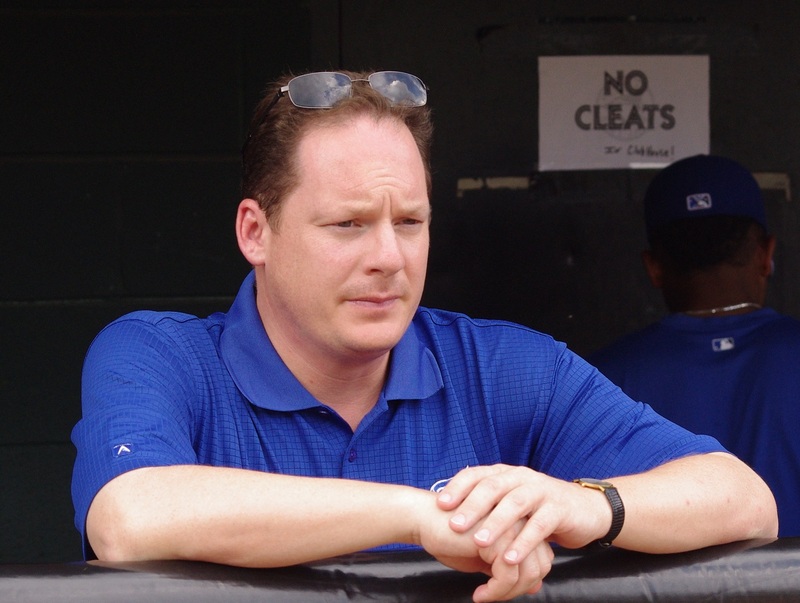 BW: When you [Toronto Blue Jays] first got here three years ago, I guess you probably had a few things you wanted the Bluefield baseball organization to do to help this team and the organization grow. Do you feel like you’ve seen that in this area? CW: Oh absolutely, absolutely. Anytime you’ve got a community that’s supportive to our game, to baseball, to young people, to young professionals, I think you’re gonna have a great fit and we have a great working agreement with the Bluefield operation as I mentioned earlier. They’re just quality people. In fact, we just had a meeting this afternoon over lunch and we talked with the president, the general manager, and some of the board members, we were able just to have open conversations about where we are as an organization and plans going forward. And it was great, I mean, I think we’re all on the same page. Communication is the key in a working agreement like a PDC [Player Development Contract], so I think we couldn’t be luckier to be with this group of people. BW: You were in the Appalachian League before and got out and came back in. Are you glad to be back? CW: Absolutely. Brian, it’s an interesting question, a lot of us never wanted to leave the Appalachian League but sometimes decisions are made based on economics, budgets, philosophies, what have you and that was a decision that was made for a variety of reasons, but the reality of it is that those of us who believe strongly in scouting and player development, we wanted to get back to the Applachian league and we were really excited to have the opportunity to come back, which is Bluefield, in 2011 and couldn’t be happier that [Appalachian League President] Lee Landers welcomed us back to the league. Blue Jays from Away: I want to ask you about something you said already which was you talked about having players learn the “Blue Jays Way.” What is the “Blue Jays Way”? CW: Great Question. We feel it’s the right way. We want to develop fundamentally sound, championship major league players. We’re gonna work on fundamentals, we’re gonna work on playing the game the right way. We have five or six goals which we expect all our players and staff to adhere to. It starts as soon as the players get to mini-camp after the draft and then we go through the whole system. BJfA: One of my portfolios is the minor league system for the Blue Jays and I see that the guys drafted this year – some guys go to Vancouver, some guys go here [Bluefield] and some guys go to Dunedin in the Gulf Coast League. How do you decide who goes where? CW: Good question. 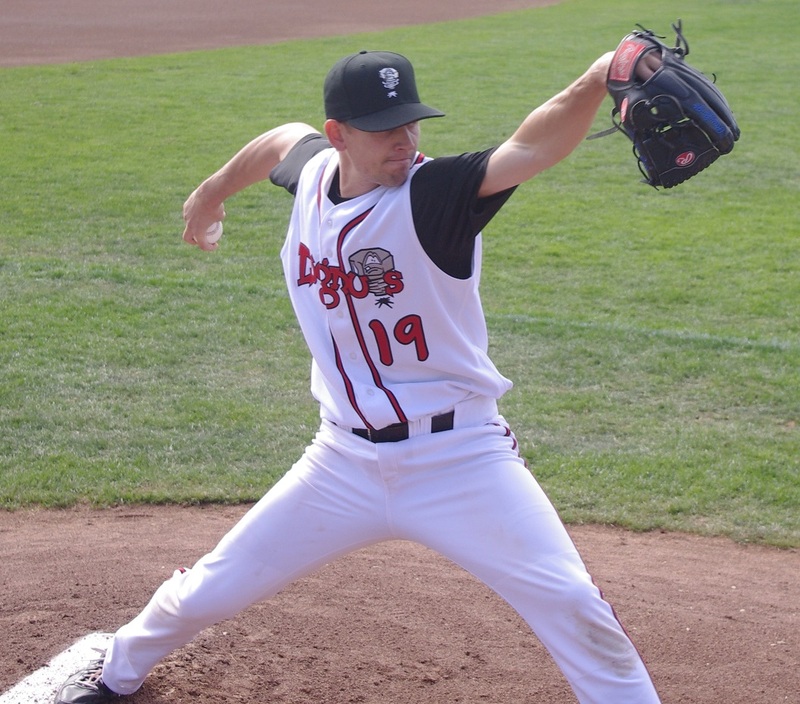 Predominantly the players who go to Vancouver are players that have been in our system for more than a year — second year, third year players — due to the fact that the Northwest League starts a short time after the amateur draft. So, a lot of the players on that roster came from the extended spring program. It is traditionally a little bit of an older league, more college players in that league than the Appalachian league, as you know. So we have the players that are in our extended program go there. In terms of the players that go to Bluefield in the Appalachian League and the Gulf Coast League, more so those players are the guys coming out of the draft, coming out of high school and junior college, and guys that have been in college this year that may not sign until early in July so that’s basically how we make our rosters. Now, there are changes as you know in season and we flip flop players from time to time, but I think from our standpoint the most important thing for a first year player is to get them into the system. They need to learn the routine of professional baseball, they need to take batting practice every day, they need to do their bullpens on a professional schedule, they need to learn their throwing programs, etc. Etc. So it’s more important that the players get to a team, learn the routine and are playing every day and let’s get ready for next year as opposed to saying well this player needs to go here, this player needs to go to the Northwest League, it’s more important to get them in and playing. Our opinion. BW: You have what, five or six minor league teams that you oversee? BW: Wow. I’ve asked these guys this too, how do these guys make themselves noticed. I know you notice them all, you care about them all, but does, like, a Kevin Pillar get noticed above another person, what do these guys have to do to get noticed and to be able to move up the system? CW: Well traditionally, you scout tools at the lower levels and players will a lot of times dictate the decisions and force a move due to their performance. But when players are in the upper minors, you can say Double-A and Triple-A, often decisions are based on performance on the field and in Kevin’s case, he’s performed at every level and that’s why he’s been able to advance at the rapid rate that he has. BW: It seems like it would be an overwhelming task with all these players, you’ve got seven different teams. And I noticed, I was looking last night at your organization, you really put a lot of emphasis on development, you’ve got an unbelievable number of scouts and cross-checkers and people who work in this level of the game. BW: I only have one more question about Bluefield here. Having Dennis Holmberg here, he really seems like he really enjoys it here, the guys seem to like him, and the community likes Dennis and it’s important to have somebody like him here to kind of get the community behind us. CW: Dennis is a special guy. Lifelong Blue Jay. Just the ultimate professional but there’s no substitute for experience and Dennis as you know has managed and coached for over 35 years. He’s had great success at all levels including the major leagues – he’s coached with our major league team in the mid-90s. But Dennis has a special ability to relate to young players, to teach young players, to instruct them, to teach them the game, the Blue Jays Way, the right way to do things. . . And that’s really hard to do. He has a special ability to get the attention, to make a difference, to teach and to pass the information that he has to the young players and for a first year player coming into any organization, you can’t get a better manager than Dennis Holmberg. So we’re excited that he’s our manager here. Not to mention that he loves the area, he loves people, he loves baseball so it’s been a great fit. BJfA: Can I ask you one more question… it’s kind of conceptual … what kind of things will tell you how successful (and I was looking in particular with pitchers) making the jump from Vancouver to Lansing. It seems to me that it’s been a challenge for a couple of guys this year for a couple of guys this year like Javier Avendano and Taylor Cole who were both extremely successful in Vancouver last year and have been… they’ve been okay, but they haven’t been dominating nearly the same way, whereas someone like Justin Nicolino the year before was absolutely dominant there and also quite dominant in Lansing. I’m wondering looking at the players this year in Vancouver who might be able to make that transition the easiest. What are you looking for when you’re promoting your players… is there an indicator that you guys think you have that might indicate success further down the road? CW: Really good question and you brought up some great names, good comps. Obviously Justin Nicolino was a very, very talented individual. As you know he was a top prospect in our organization and has tremendous ability. I think that any time you’re getting promoted from the short season level to the full season level it’s a big jump regardless of how old you are. Obviously we’re looking for consistency whether it’s in a hitter or whether its’ in a pitcher. The other thing to think about is for a couple of guys that you’ve mentioned they may have gone from short season to full season ball it’s been really three months and that’s not a fair barometer to measure how successful they’re going to be. I think you’ve got to give them at least a full season and then we’ll see how they do next year at that level whether they repeat in Lansing, or whether they go on to the Florida State League after that. I think in both cases, we like Avendano and we like Cole, they have had success at the short season level, I think they’re gonna continue to have success in A ball and past that. But sometimes the transition can be difficult. The other thing is that we’re dealing with human beings here. Everybody develops at different stages, some guys get a little earlier, so to speak and some guys take a little bit longer to develop. In Taylor’s case, he did repeat that league [Northwest League], he did have tremendous success. He’s a pitcher that went to college, that went on a [religious] mission as well and spent some time away from baseball, so sometimes when you take time away from the game, whether a year or two years, it takes a little longer to get back in the groove. Everybody develops at a different stage and I think that Cole’s going to be fine. Thanks for reading and we hope you enjoyed the conversation with Charlie Wilson. Stay tuned for more Bluefield Blue Jays content over the next couple of weeks. We have interviews with Doug Davis (Minor League Field Coordinator), former Blue Jays and roving consultant Paul Quantrill, and Canadian Baseball Hall of Famer Tim Raines. We also have more Bluefield content coming up on the podcast tomorrow – we’ll have interviews with pitchers Shane Dawson and Tom Robson as well as catcher Jorge Saez, 3B Mitch Nay and CF D.J. Davis. Finally, there are more scouting reports, all coming this weekend or next week! Stay tuned, Blue Jays fans! Outstanding work, Brian. This website is a real asset to Blue Jays fans.